What birds, cats, and other amazing critters have taught me about life – through the camera lens. It took me 23 years to discover Florida’s great subtropical wilderness, even though I’ve traveled through the heart of it countless times. Now, as I drive west on Tamiami Trail through the Florida Everglades, I think of how many times I raced across, intent on reaching Naples. I missed so much beauty and unique wildlife along the way! 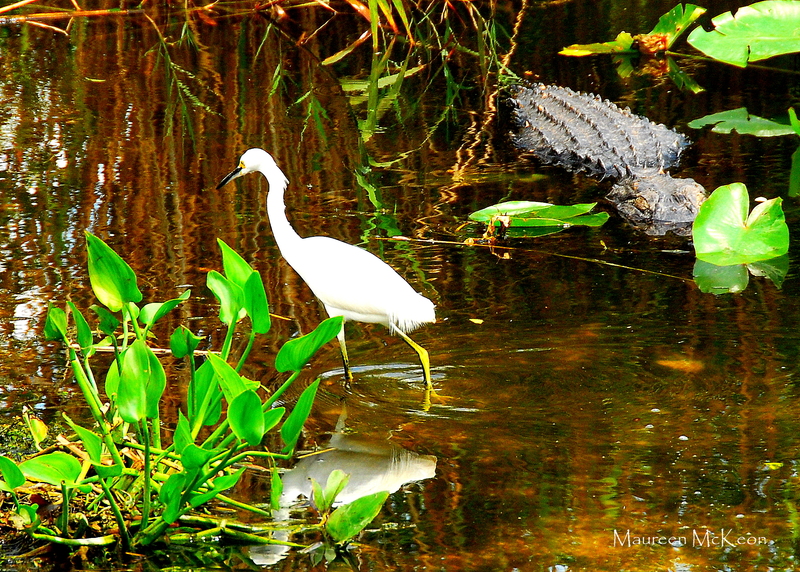 The Florida Everglades stretches 100 miles from Lake Okeechobee to the Gulf of Mexico. Wildlife abounds here. Rare and threatened animals share a freshwater ecosystem of sawgrass marsh and tree islands, and the vast Everglades “river of grass” has attracted all types of birds to this region for thousands of years. Sadly, though, Everglades National Park has also made several appearances on the World Heritage in Danger list since its inscription as a World Heritage site 34 years ago. The very life source of its riches—the aquatic ecosystem—is in peril. Years of draining, urban development and construction have reduced water inflows by up to 60 percent and destroyed more than half of the original Everglades. Water pollution from agricultural runoff has also caused a decline in marine species. Restoring and conserving Everglades is a huge job that is currently underway, but it may be too little too late. It’s not too late to appreciate our great nature wonder. 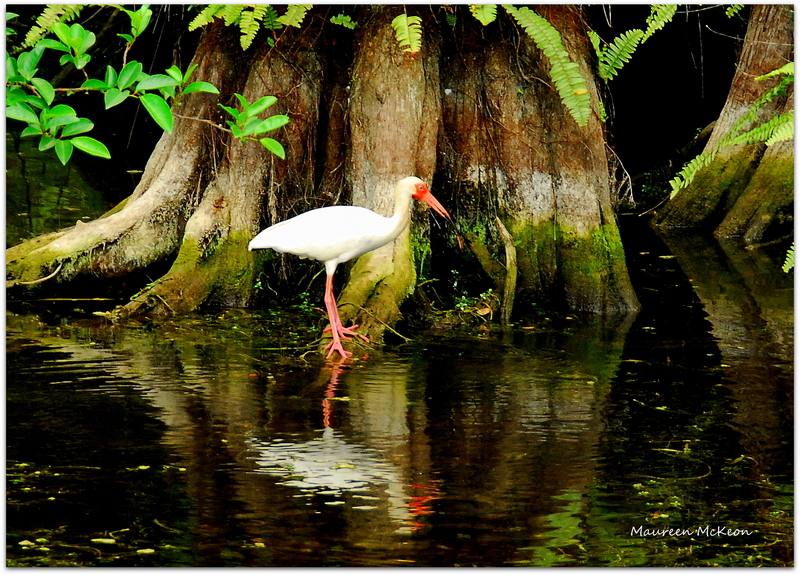 Depending on the season, you’ll spot great white ibis, great blue herons, green herons, purple gallinules, black-necked stilts, anhingas, roseate spoonbills, hawks and owls.Of course, alligators, turtles and snakes are prominent all year long.. The Everglades is also home to the endangered Florida panther (I’ve yet to see one!). At nearly 1.5 million acres in size, this park provides important habitat for numerous rare and endangered species of animals and birds. The main entrance (Ernest Coe Visitor Center) is located in Homestead, and is the beginning of the 38-mile park road to Flamingo, with many different hiking, canoeing, and biking trails found along the way. This self-guiding birdwalk trail is a short distance from the park entrance. It’s a little less than a mile long and winds through a sawgrass marsh, where you’ll see alligators, turtles, anhingas, herons, egrets, and many other birds, especially during the winter and spring. 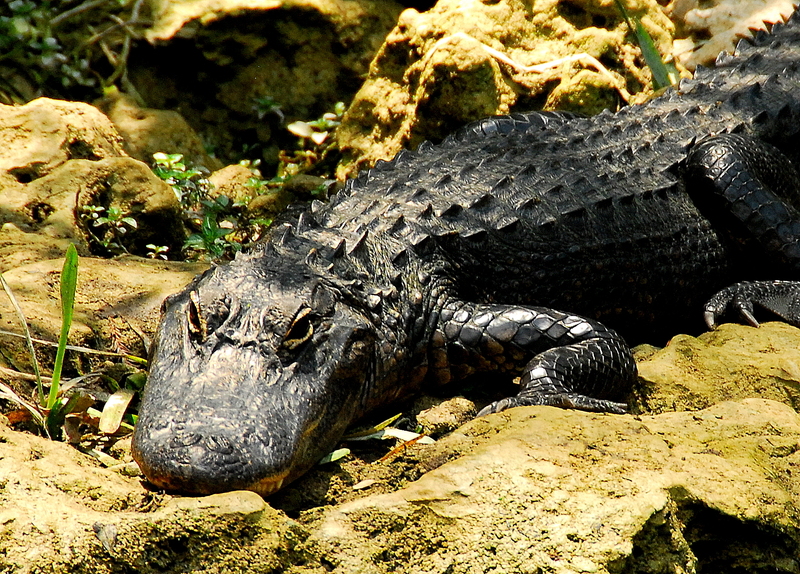 This is one the most popular trails in the park – the alligators are always a hit with foreign tourists! Mahagony Hammock Trail is about 20 miles from the Ernest Coe entrance to the park. This self-guiding boardwalk trail meanders a half a mile through a dense, jungle-like “hammock.” The lush vegetation includes gumbo-limbo trees, air plants, and the largest living mahogany tree in the United States. 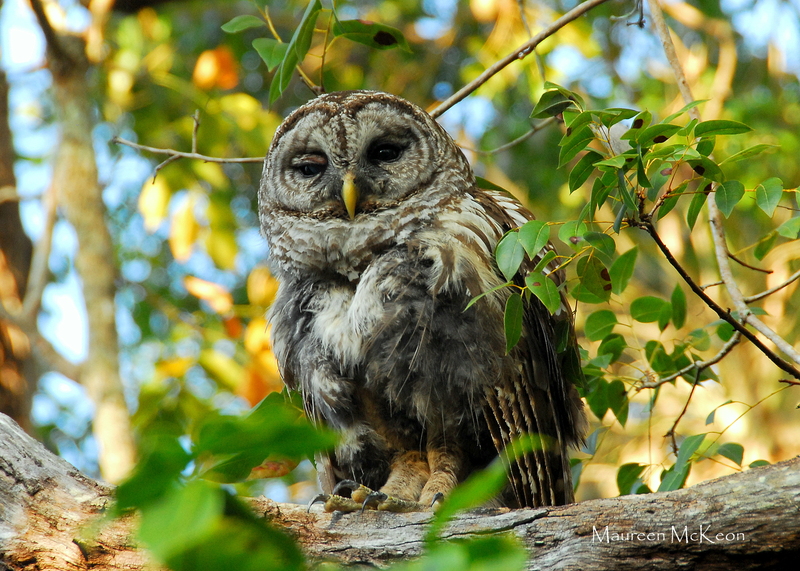 While not a lot of bird activity, this is where I spotted a barred owl – right on the path! This is about an hour south of the park’s main entrance. There’s camping here, canoe/kakak rentals, and boat tours from Flamingo Marina. 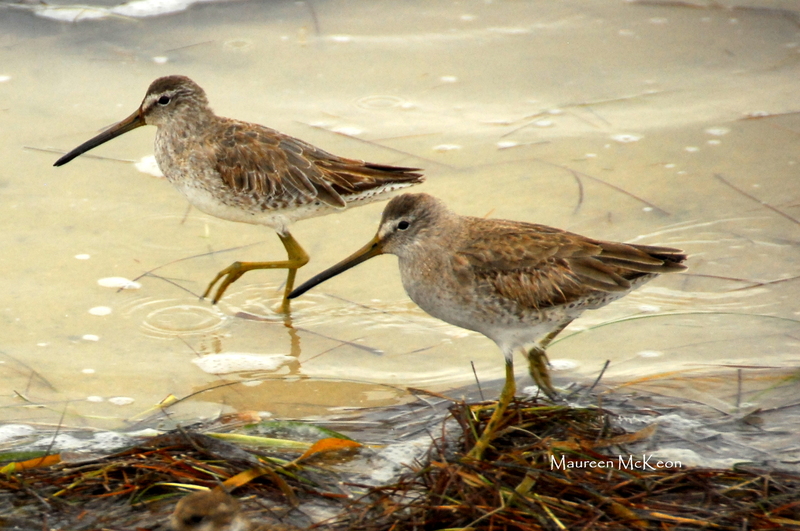 This is a good spot to see shore birds during low tide. Stroll half mile around this freshwater pond and – depending on the season – enjoy a wide variety of wading birds, song birds, and ducks. 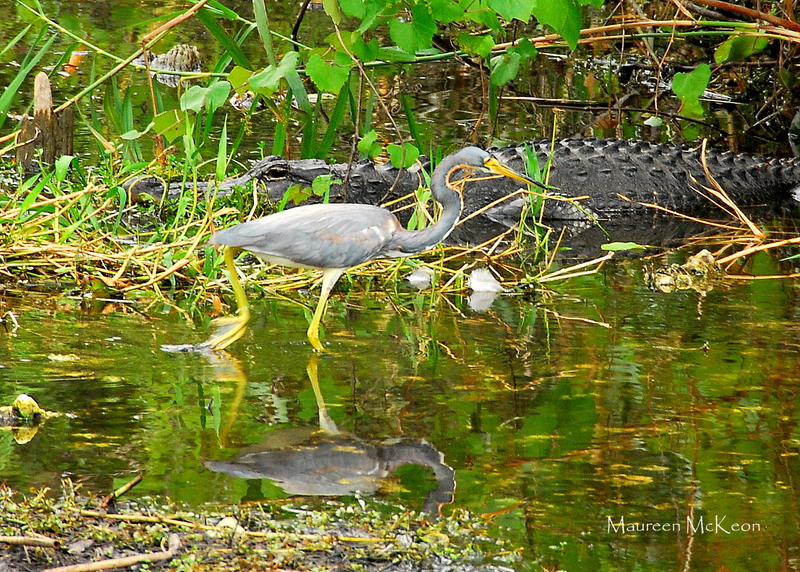 Alligators and Florida softshell turtles often cruise the pond. You’ll find it on the right, past Flamingo visitor Center. 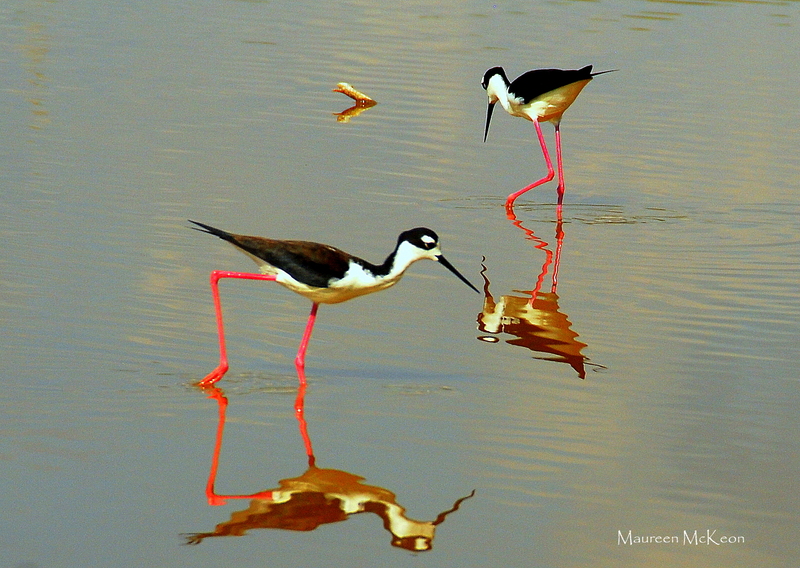 During my last visit in April, I spotted plenty of black-necked stilts, egrets, and great blue herons. 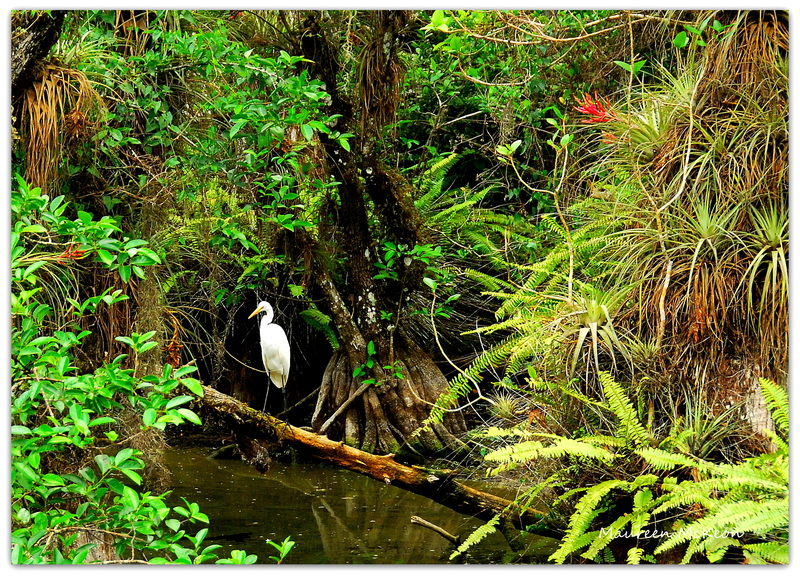 The freshwaters of the Big Cypress Swamp are essential to the health of the Everglades. Protecting over 729,000 acres of this vast swamp, Big Cypress National Preserve contains a mixture of tropical and temperate plant communities that are home to a diversity of wildlife, including the elusive Florida panther. Stop by Clyde Butcher’s gallery (MM 55) to see some of his stunning black and white landscape photos of Everglades and join a guided swamp walk – if you dare! Loop Road is a 27-mile drive that travels through dwarf cypress forest, dense pine forests and past sawgrass prairies. 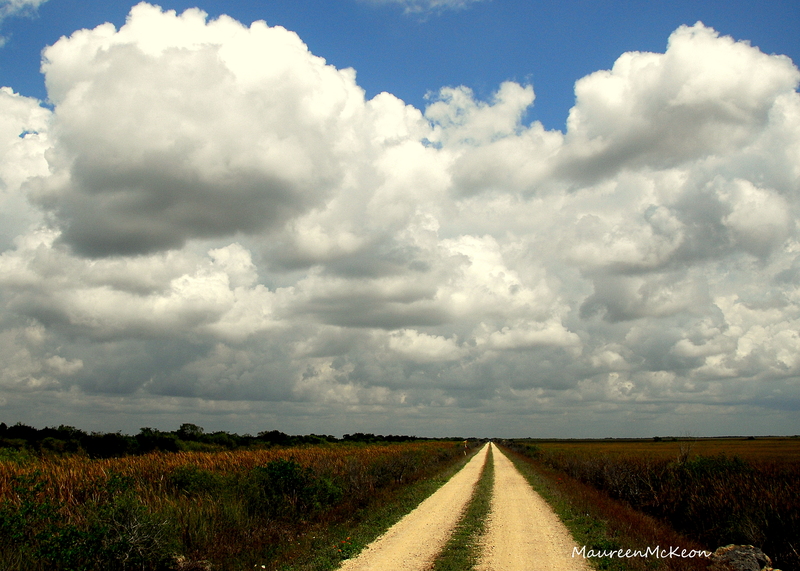 This mostly gravel road will take you into some of the more remote areas of Big Cypress Preserve, and the landscape here is unique and striking. During the drier winter and spring months, expect to see lots of alligators, wading birds (especially white ibis and great blue herons) and maybe a red-shouldered hawk. Shark Valley lies in the heart of the “river of grass”, about 30 minutes west of Miami on Tamiami Trail. With abundant wildlife (gators galore!) and many species of birds, it’s a popular spot for tourists and locals alike. The 15-mile paved loop road is perfect for cycling, or you can hop on a narrated tram tour. There’s an observation tower about half-way around the loop with spectacular views of the Everglades sawgrass marsh. You’ll feel like you’re a million miles from the city here!